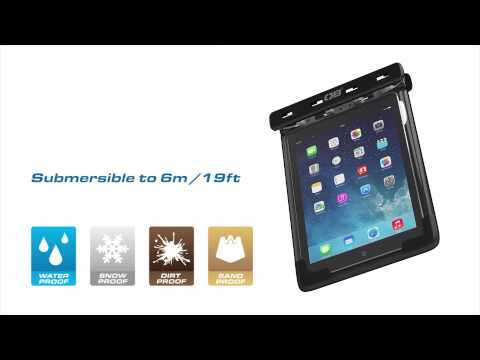 Want to use of your new iPad mini while protecting it from water, sand, dirt and dust? 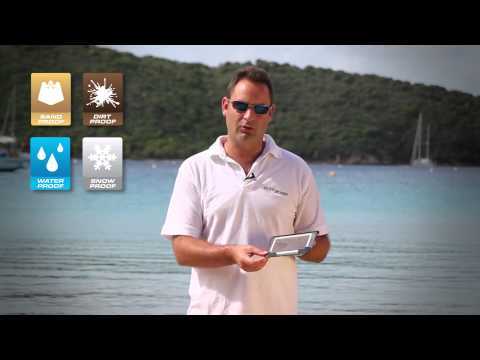 The OverBoard Waterproof iPad mini Case gives you exactly that. Our waterproof iPad mini case has a clear front so you can use all the touch screen functions as normal and seals tightly with our Slide Seal System™, making it guaranteed submersible to 6m / 19ft. That means you can check on your Emails or Facebook messages in the pool! If you do drop accidentally in the water, the OverBoard Waterproof iPad mini case will neatly float to the top so you can safely retrieve it. That’s not likely to happen though, as it comes with a fully adjustable shoulder strap so can be carried and used safely in any environment. "Impressive! Ordered overboard ipad mini waterproof case at 13:09 yesterday, arrived in this mornings post. Thanks, didn't expect it till next week. I'll be able to test it on Saturday filling out a trial match score sheet (Acrobat eForm) on the touchline of a rugby match. Might get a good test too given the forecast!!! (Already soak tested it before use, seal's okay)." "Goods received today, less than 24hrs after ordering, well packaged and excellent value for money. What a delight to deal with a company that puts 100% effort into customer service and satisfaction. Thanks again." "My lovely Waterproof Case arrived today. Thanks for prompt service. Lovely website and good looking products.I wish I needed more!!"